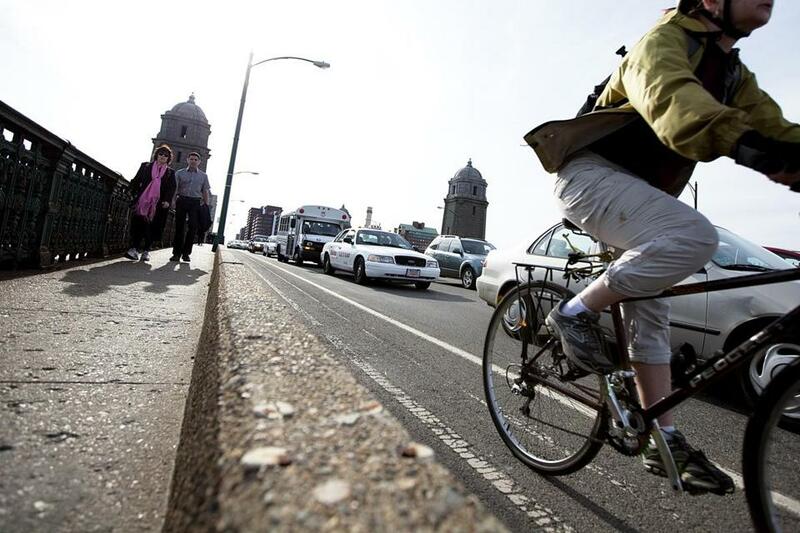 Motorists, pedestrians, and a cyclist all made their way across the Longfellow Bridge. One idea put forth by Ruth Nemzoff — that we should “perhaps have cyclists carefully share the sidewalks with pedestrians” — would be an absurd and lethal proposal to pursue (“There just isn’t enough room on streets for both cars, cyclists,” Letters, Dec. 22). We know that walking is increasingly being promoted as a healthy and fun activity, whether leisurely or rigorous. Yet Nemzoff is asking urban walkers, of all ages, to share the danger of getting around Boston that she otherwise accurately describes in her letter, and become, in effect, parading automatons who must constantly look over their shoulders before making any deviation that might endanger their lives. The idea, though one of good faith, amounts to nothing more than victim-shifting. Massachusetts law prohibits bike riding on sidewalks in business districts. Enforcement, however, is nonexistent, even as the new bike-share programs add to the number of violators. Biking is great, and bicyclists deserve the best protections possible from lethal threats. Walking is also wonderful, and pedestrians deserve the same level of protection.